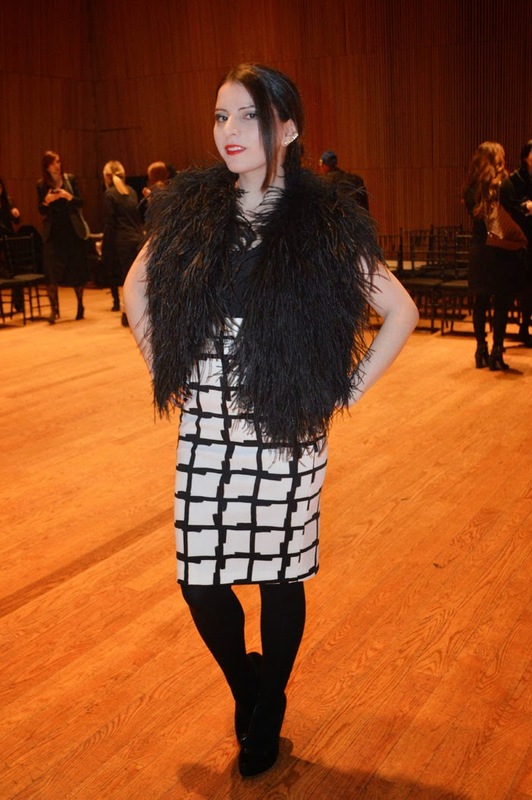 It’s always exciting to be invited to Josie Natori’s fashion show. 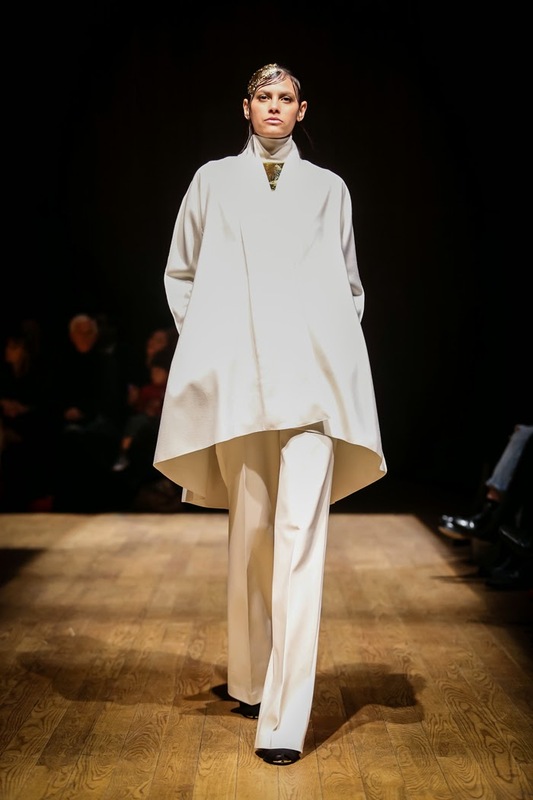 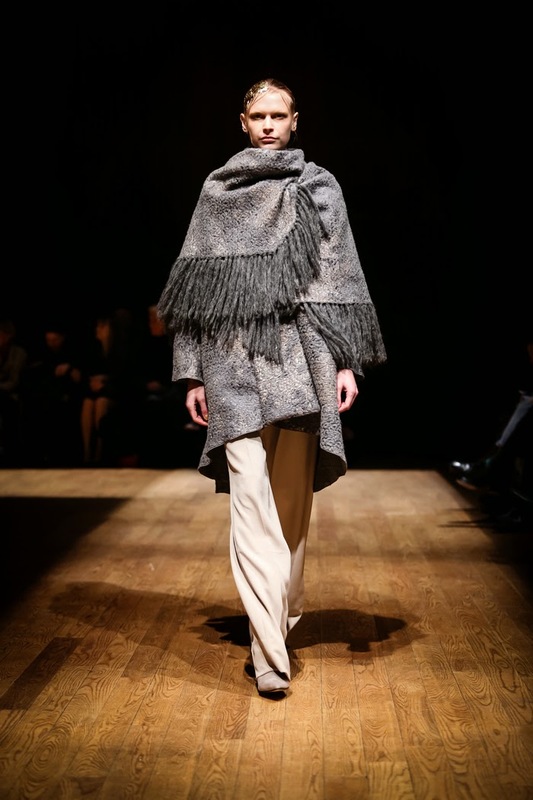 This season Josie Natori presented her Fall/Winter 2015 collection at the DiMenna Center, where the setting was defined by a square floor, illuminated by outlined lights. 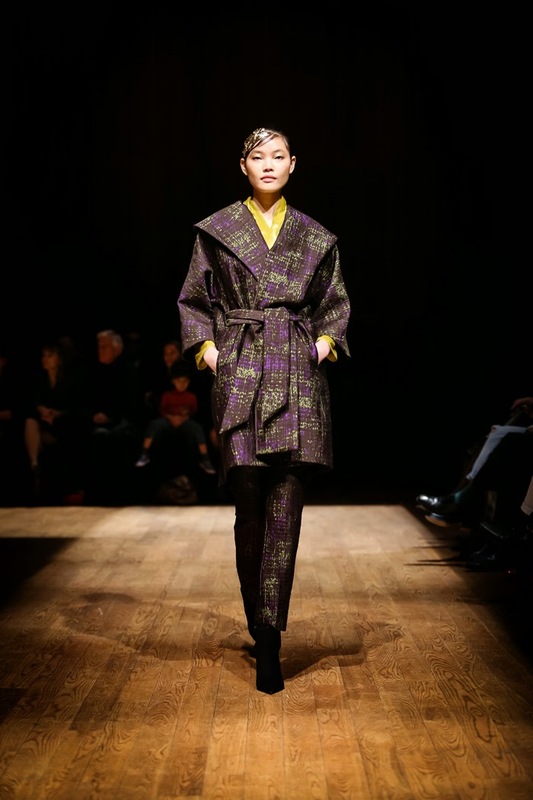 Josie Natori's Fall/Winter 2015 collection took us on a journey to Istanbul, the historic crossroads where East meets West. 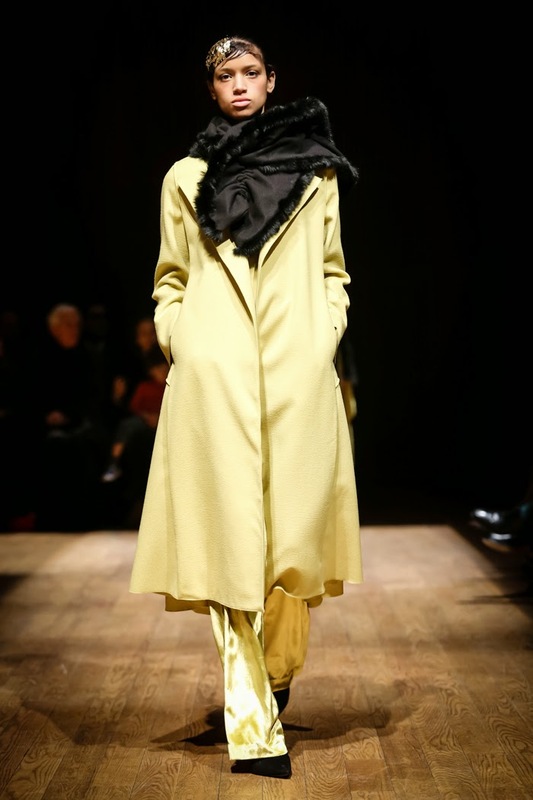 There, Josie was inspired by fabric bazars, spice souks, brass markets, and whirling dervishes. 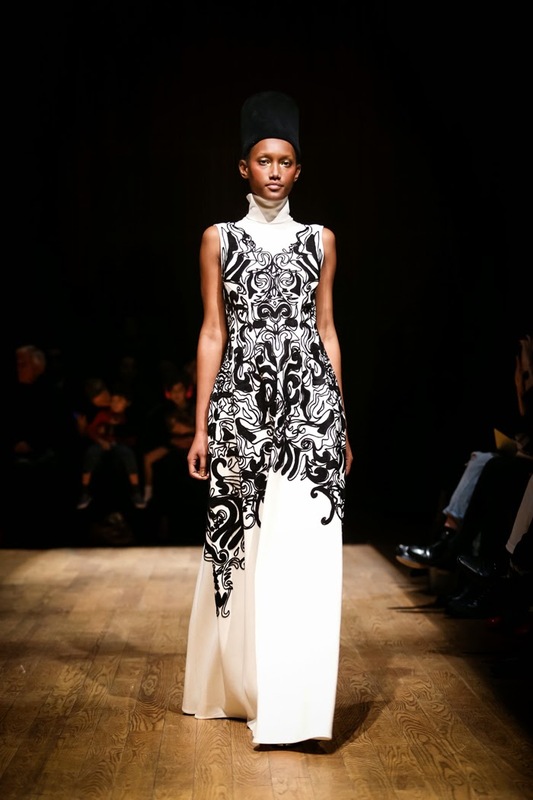 The Fall 2015 collection reflects an explosion of art and culture felt on every ancient and modern street in this ever-dynamic city. 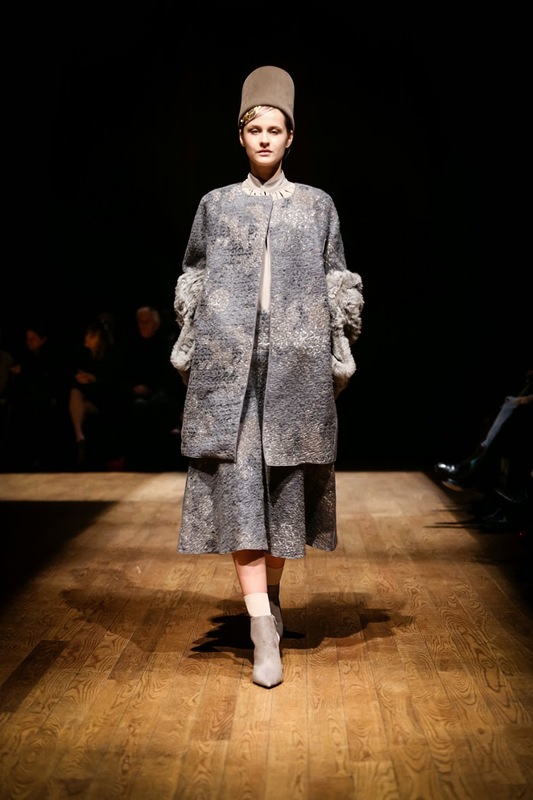 Josie’s newest collection featured standout chartreuse, black, white, mauve and cornflower blue colors that are blended flawlessly with an array of luxurious fabrics including silk knit, cashmere, pane velvet, felting, silk brocade, wool quilting, and rabbit furs. 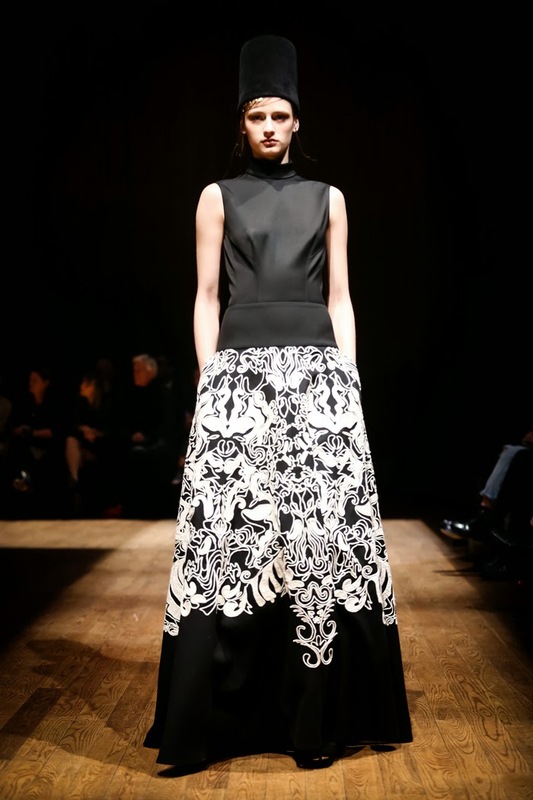 The rich textures and intricate embroidery showed extravagant embellishments that create more dimension and definition. 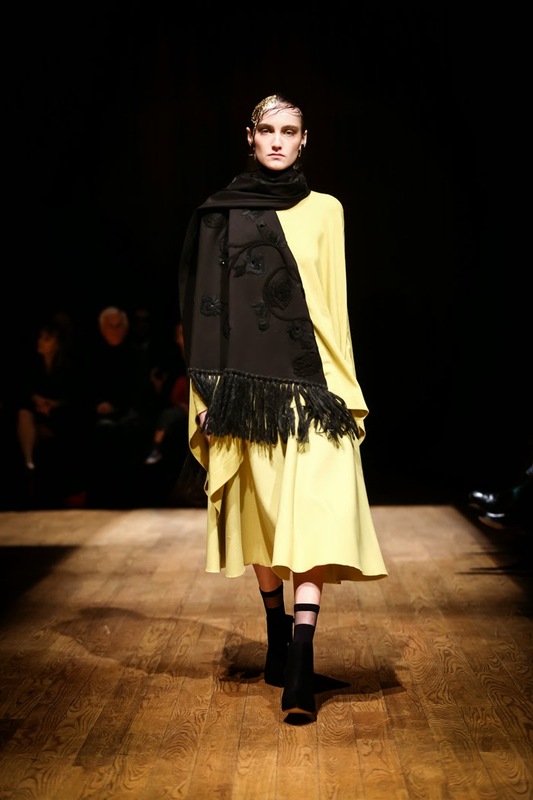 The Istanbul inspired collection also introduced new silhouettes with full skirts, blanket shawls, redefining capes, and higher necklines. 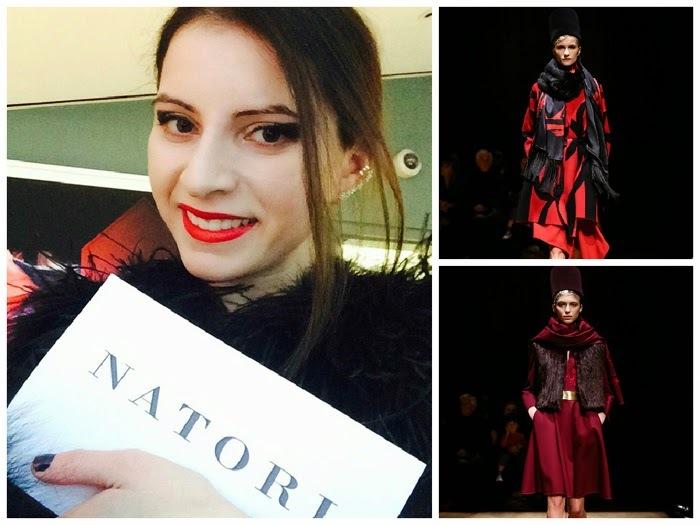 My look for the fashion show was extra special as I had a chance to be dressed in full Natori. 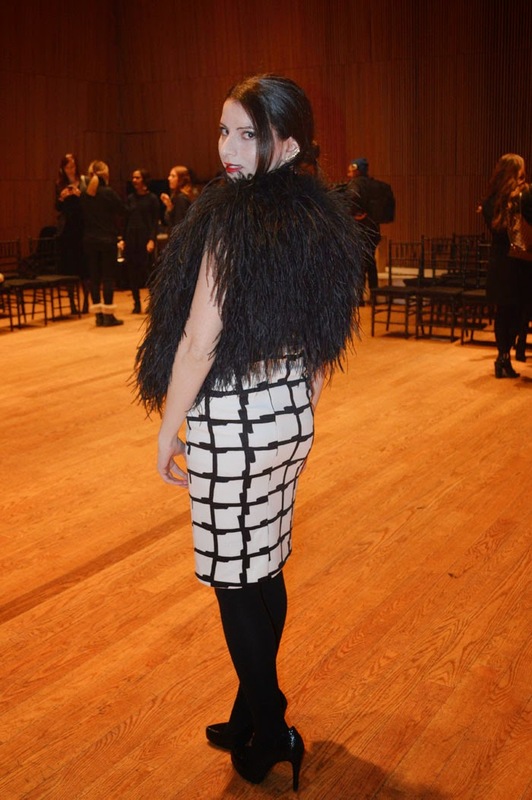 My Natori feather vest was made out of Ostrich and Marabou feathers. 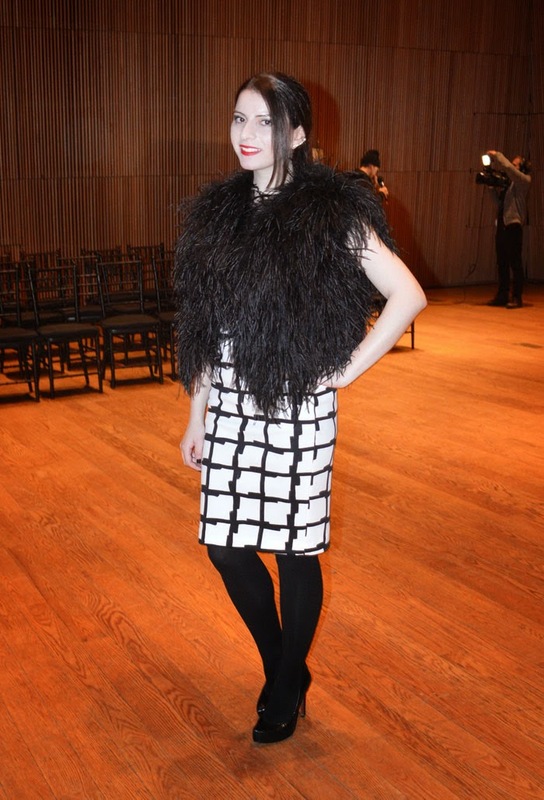 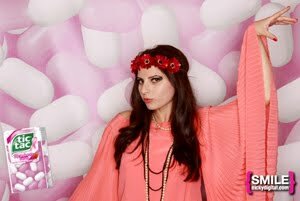 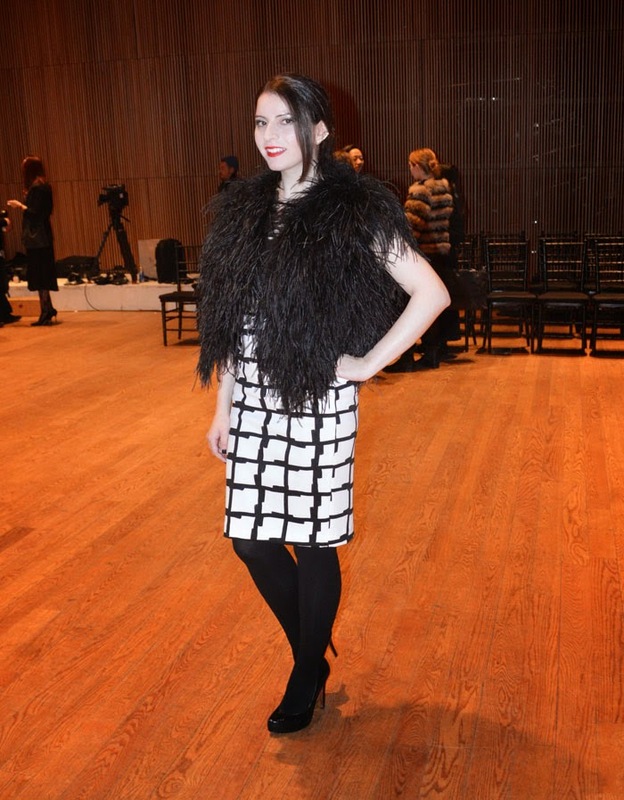 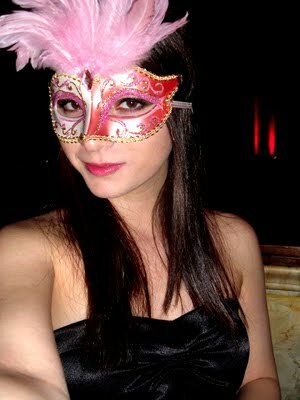 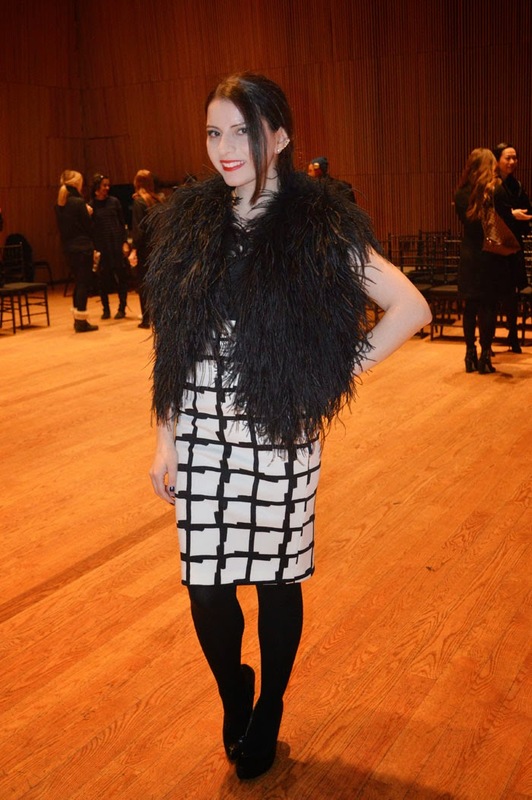 I completely adore feathers so it was very exciting to wear this fun piece. 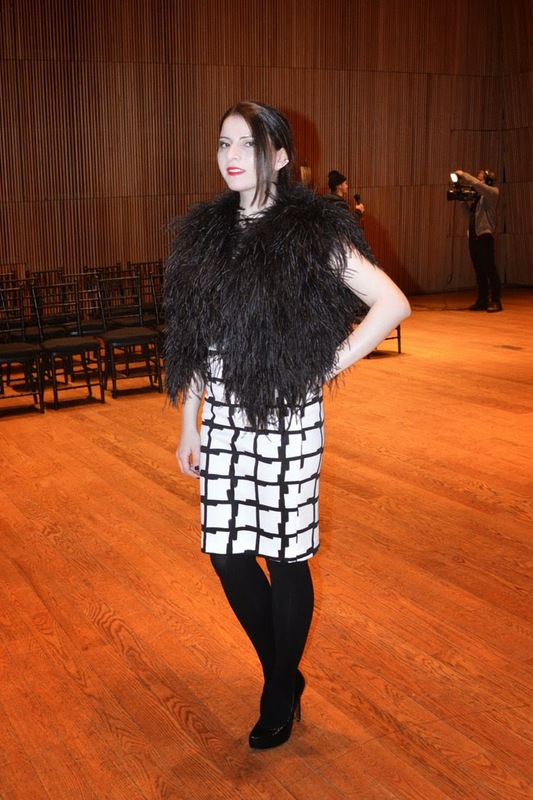 The look was completed with a Natori checker print spacer skirt. 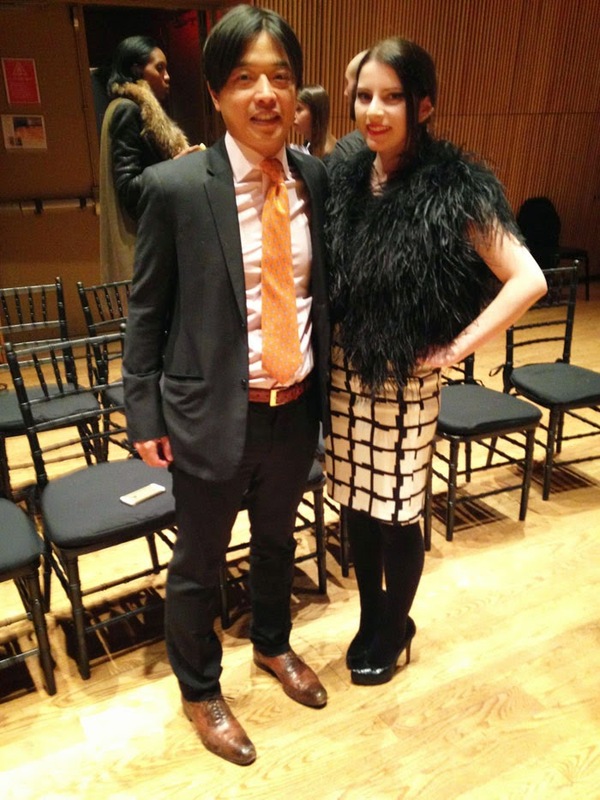 After the fashion show I had a chance to chat with Ken Natori, the VP of Natori. 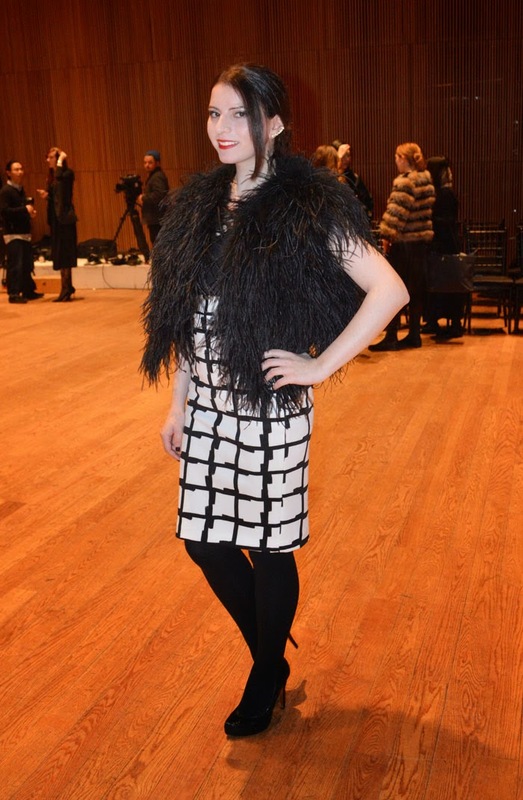 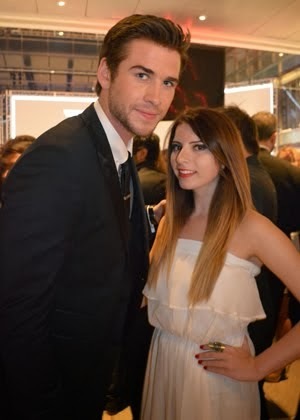 I told him how much I loved the new collection, especially the glamorous furs and intricate gowns. 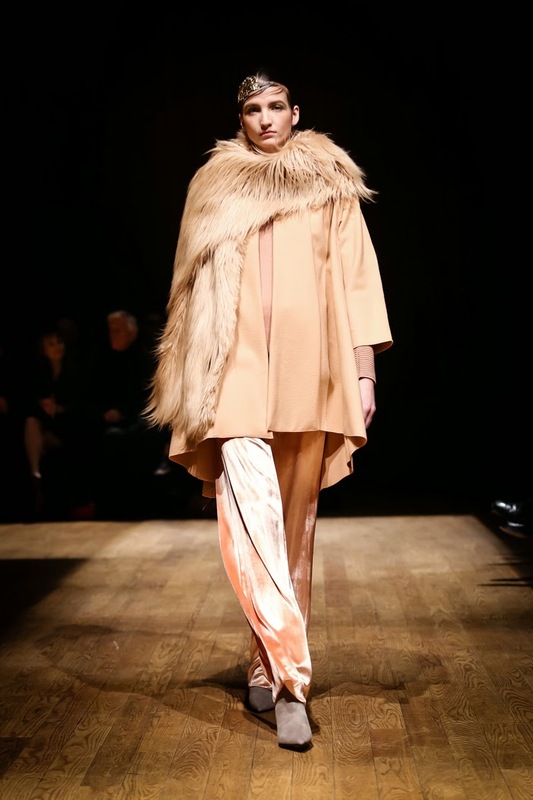 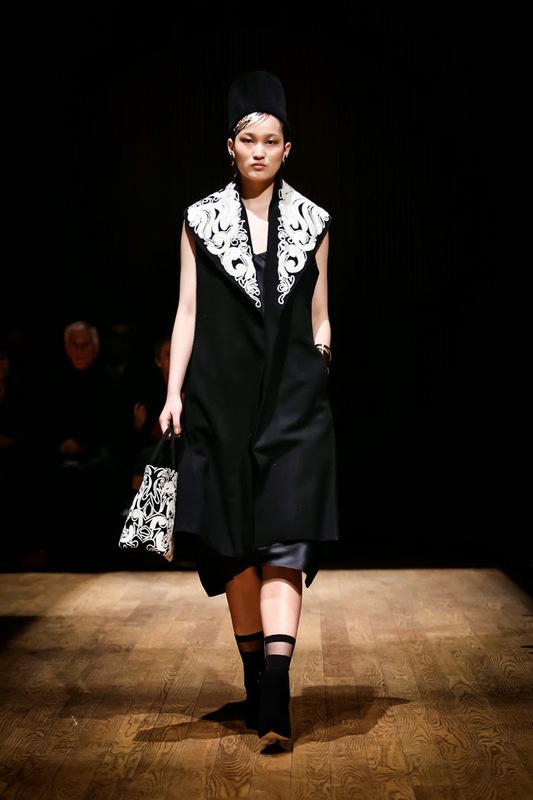 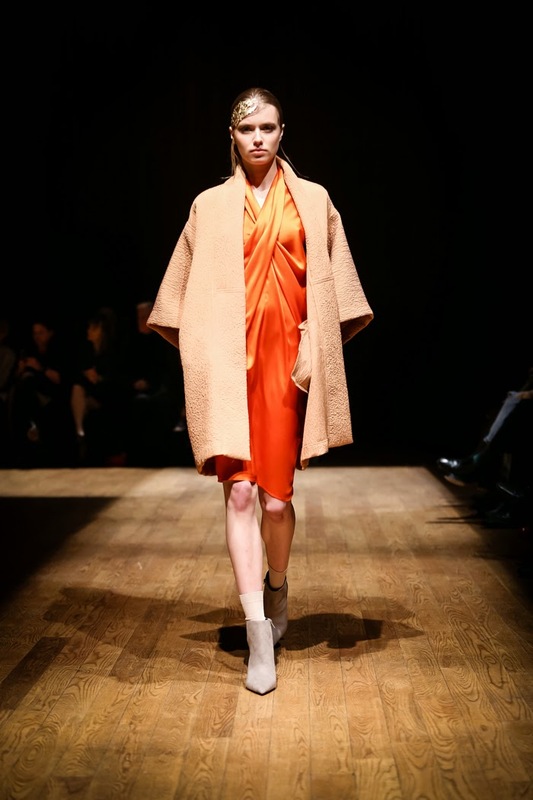 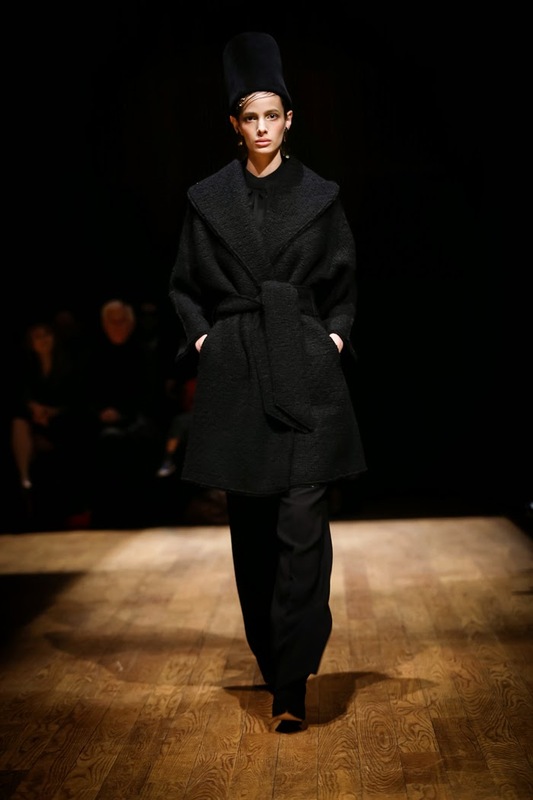 Check out the rest of Josie Natori's beautiful Fall/Winter 2015 collection below!